Christmas came early for me today as I received a true rarity in my mail box - a hockey book that I had no idea about previously. 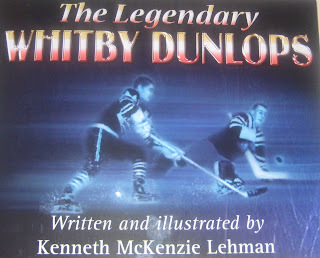 I'm talking The Legendary Whitby Dunlops. Written and illustrated by Kenneth McKenzie Lehman and published by Quarry Heritage Books, the book is available nationally at Chapters. This book's title is apt. 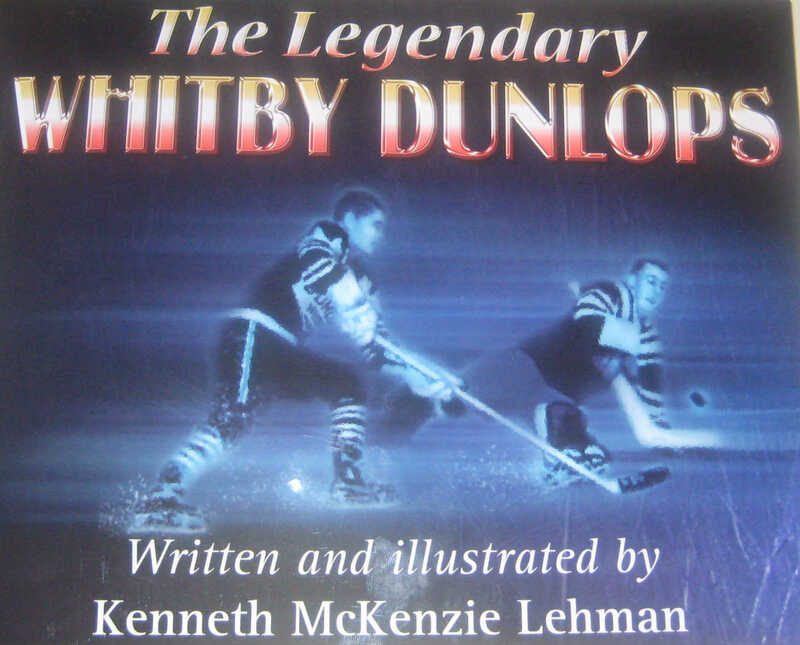 The Legendary Whitby Dunlops rank high in Canadian hockey folklore as this unlikely group of amateur hockey stars won the Allan Cup and the 1958 world hockey championship in Oslo. By the late 1950s the Soviets were on the verge of taking over the international hockey scene. For one all too brief moment, the Whitby Dunlops - senior hockey champions - caught the imagination of hockey fans across the country. As Canada's team they were dispatched to Oslo to restore our pride in our own game and to defeat those dastardly Russians. Ken Lehman's book, published by Quarry Heritage Books, includes portraits, illustrations, cartoons, photos and maps. He pieces together a thorough presentation by accessing the rich archives of the Whitby Public Library and the Hockey Hall of Fame, as well as through interviews with team members. For Lehman this truly is a work of passion. He grew up watching "the Dunnies" and has had a life long affair with them. The book, which officially launches in December, is 224 pages long and includes 30 rare archival photos and 25 original sketches and cartoons by the author. It's a wonderful read. It is a mixture of historical text and great storytelling. The Dunnies, you see, were merry pranksters full of hockey hijinks. Many of these crazy stories are sprinkled throughout the book. I suspect this book will fly below the radar on the national level. But any hockey history buff should find this a refreshing book worthy of his or her attention.